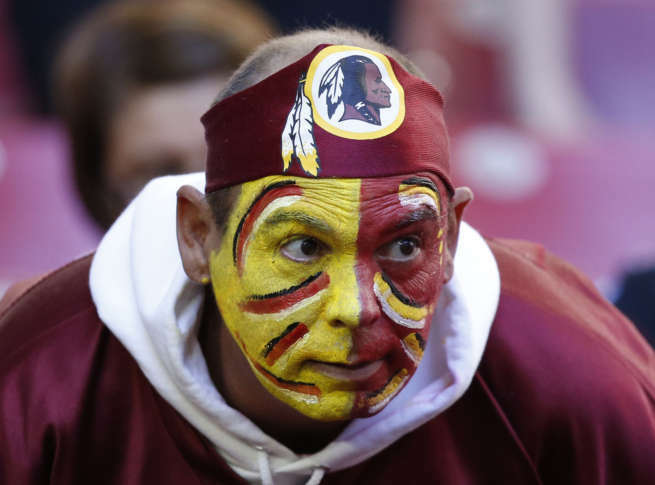 Another school has banned Redskins gear. Green Acres School announced the change saying children and staff members shouldn't wear clothing that "disparages a race of people. " WASHINGTON — Redskins fans who attend a private school in North Bethesda will no longer be allowed to wear apparel featuring the team name or logo due to a policy established this month. “I think it’s only honest to acknowledge the times when the need to be respectful and thoughtful and sensitive overrides people’s ability to express themselves as they’d like,” said Head of School Neal Brown in an interview with Bethesda Magazine. The ban on Redskins gear came after classroom discussions about team logos that are based on race or ethnicity. The school instructs children from 3-years-old through eighth grade. A similar ban on Redskins apparel was put in place last year at the prestigious Sidwell Friends School in Northwest Washington. Head of School Bryan Garman said the administration fully supported a resolution passed by the student government at Sidwell that recommended banning clothing with the Redskins’ logo or official name. The resolution highlighted the school’s dress code which says children may not wear clothing with messages or images that conflict with the school’s values.